What do we provide our sponsored children? We believe that through successful education of our sponsored children we can break the poverty cycle. For this reason, the majority of our welfare programs revolve around providing resources to enable the children to obtain successful mainstream education. 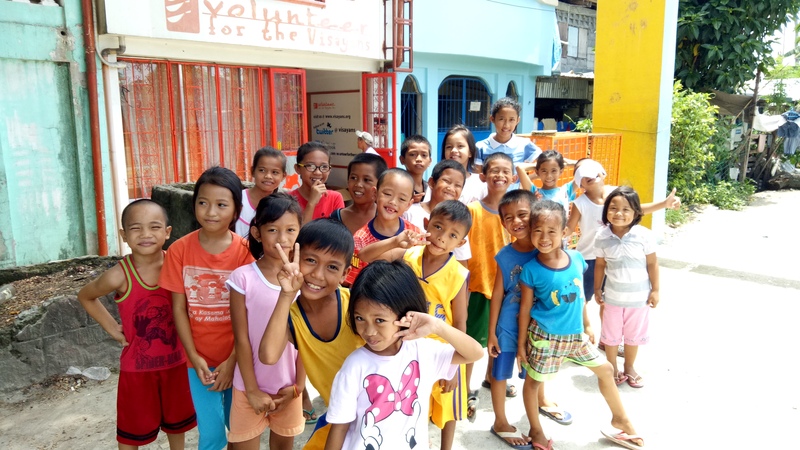 When an individual chooses to Sponsor A Child in the Philippines with VFV, we ensure that the services we provide aim to provide incentives and encouragement for children to pursue their education goals. The details of our benefits are summarized below. School Fees: All the major fees, including enrollment and graduation fees are covered by the program. 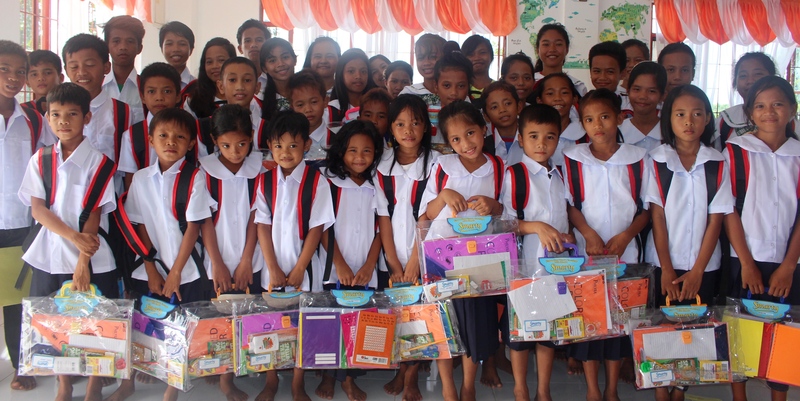 School Supplies: Distribution of school supplies such as notebooks, pens, pencils, erasers, rulers, etc., are issued to the children on a regular basis. School Uniform: We help to purchase school uniforms (shirts or blouses, trousers or skirts, and shoes) for the children annually. Daily Feeding: We believe that children need to go to school on a full stomach, which is why we provide a daily feeding for all children enrolled in our program. This feeding is often supervised by our Nutrition Public Health Volunteers and usually provided at one of our three community centers. Subsidy: We provide a monthly grocery subsidy to the families of our sponsored children. Social Welfare Support: Regular meetings with a Volunteer for the Visayans Social Worker are conducted to address any issues of children or their families. Children are reviewed throughout the year with particular focus on their school progress and general attitude. Parental Training & Seminars: While the program primarily targets children, our sponsored children’s parents are also offered training and educational seminars periodically, as well as opportunities to join livelihood projects. Annual Medical Check Up: Once a year, all of our children are examined by a local doctor and dentist if needed. In addition, the children’s height and weight are monitored throughout the year by our staff. Community Center have the opportunity to participate in various weekend activities, community events, and feedings. Want to Sponsor a Child? Apply Now!